Have you ever had brunch in Europe? 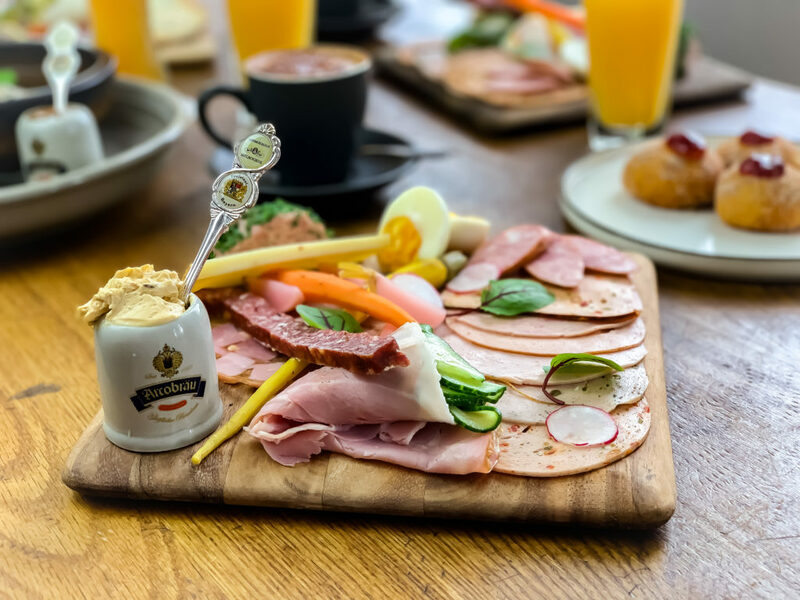 Well, good news for you – Hofbräuhaus Melbourne is now offering German style brunch. Do you remember that cozy café in Munich serving warm Bretzels with cold cut meats, eggs and cheese? Or this German bakery in the countryside which had all the pastries, breads and bread rolls you could possibly think of? Brunch in Germany is a big thing and we can’t wait to bring German style brunch to Melbourne! We take you back to Germany! 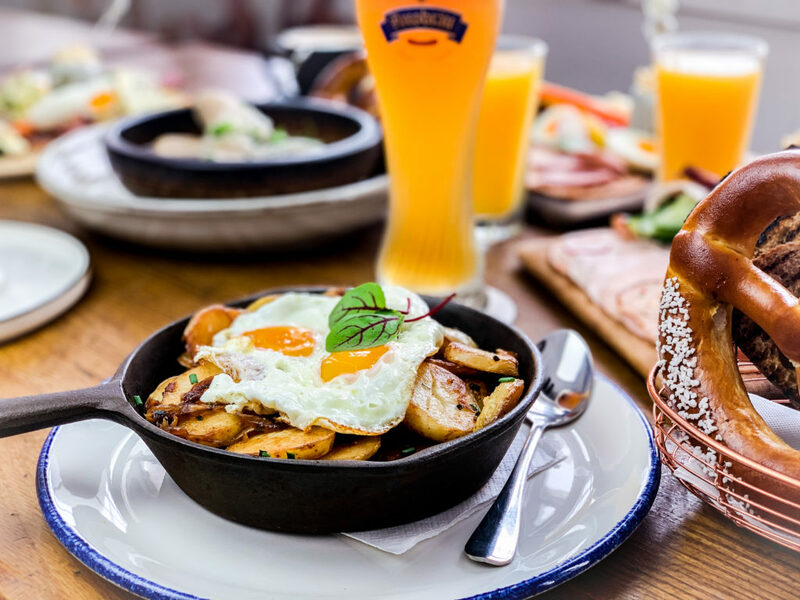 Bring your friends and enjoy a Sunday late brunch at Hofbräuhaus in our cozy and bright Alpine Bar. Our Chefs have put the most delicious breakfast together for you – from traditional German breakfast to hearty brunch dishes. Watch out for our brunch special events! We will soon announce our bottomless Weissbier (wheat bier) brunch! Have a look on the full brunch menu! Are you looking for a special function space? Why don’t you enjoy a Bavarian feast in our Restaurant, raise some Steins while dancing on the benches in our Bierhall or have a casual afterwork get-together in our Alpine Bar during happy hour. Check out our function packages! Don’t miss out our brand new Bier courses! Learn how to pour a perfect German Bier, get to know the history of the Bier purity law and found out why the head on a German Bier is such a big thing and of course try our different type of Bier! Follow us on Facebook or Instagram and don’t miss any news or special event! 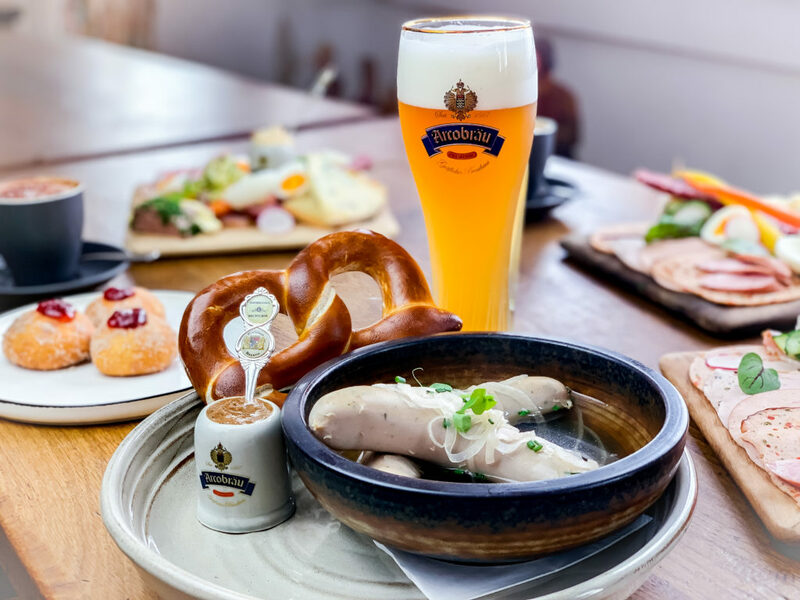 Get the true Bavarian experience at Hofbräuhaus in the heart of Chinatown since 1968!